Perhaps, when you open briefcases of cash in crowded clubs, people realize you're not properly sharing it. Looking for that permission slip, boys? 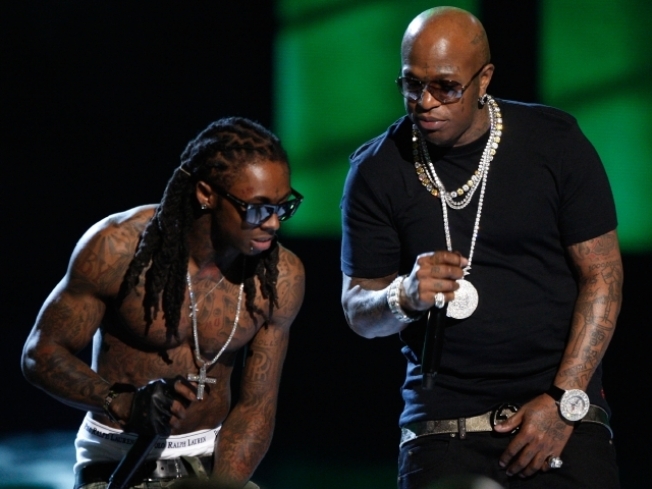 Lil' Wayne, left, and Birdman are accused of using a man's voice without permission. It's been quite a week for Lil' Wayne, which is saying something, because in Lil' Wayne's world you can be receiving a briefcase containing one million dollars in cash at Mansion for your birthday or awaiting sentencing on firearms charges at any given time. In just the last few days, Wayne's given "street cred" to University of Tennessee football, been featured in the greatest celebrity birthday cake of all time, and found himself in the middle of Dallas Cowboys cheerleader Halloween blackface controversy. Even Dwyane Wade thinks that's an eventful personal life. And now? 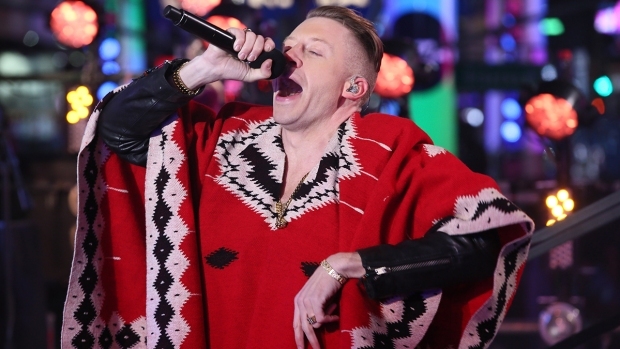 He's being sued by a Florida man accusing him and his mentor, Cash Money Records artist and co-founder Birdman, for copyright violations over "Italian-styled spoken word recordings" that they are alleged to have used without permission or compensation. So says Spring Hill resident Thomas Marasciullo, a former Long Island Italian restaurant cheese grinder and current owner of Doo-Wop Auto Sales in Hudson. Marasciullo, known as "Tommy Mara" to friends, filed suit in New York Friday against Wayne, Bird, Cash Money, and various distribution outlets; Marasciullo says he recorded the bits for Cash Money in 2006 but they never made him an offer he couldn't refuse. In fact, he says, they didn't make him an offer at all. According to the filings, Mara was unaware that his voice was used until his daughter tried to download Aretha Franklin's "Respect" for use as a ringtone and got "Respect (Outro)" instead, from the two's 2006 dual album "Like Father, Like Son," and heard her dad's voice. The line Wayne and Bird selected for use? "The main name in this game is respect and loyalty. Family is a big thing. When we do this kind of business, everything is with respect." Apparently the "except compensatory deals for voice work" part was silent, and not implied at all. But on the plus side, should he win, perhaps Marasciullo can hire someone to teach his daughter how to use the iTunes store.